Mobile. Social. One-to-one. Communication in the modern era continues to evolve, and media companies are constantly battling to stay relevant in an ever changing landscape. 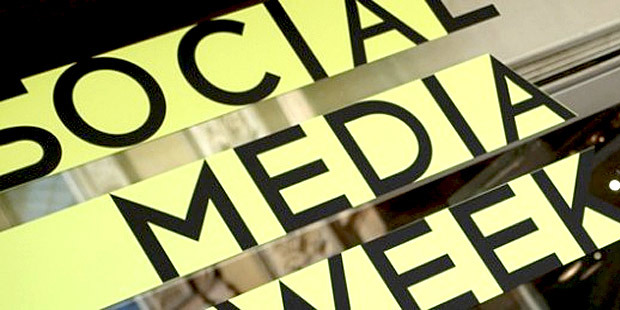 Last month at Social Media Week in New York City (SMWNYC), these topics were in the forefront as marketers and artists shared their beliefs, supported by raw data and sheer gut, on the best ways to engage and interact with customers and fans. Although little was said about sports on the program, there were perfectly good lessons for content creators and distributors of all stripes. Two executives of Internet media company Buzzfeed made a presentation on how the brand is wildly successful on multiple social platforms around the Internet. By adapting original content so that it fits the platform it’s being published to, Buzzfeed creates unique experiences for its readers and fans, whether they are visiting the Buzzfeed site, watching its YouTube channel, or reading its Tumbler blog. Check the app store on your mobile device, and you’ll notice a trend: six out of the 10 most downloaded apps in the world right now are messaging apps. Michelle Klein, head of marketing, North America, Facebook, pointed out during her keynote that the social-media giant has taken notice of the messaging craze, hence the popularity of its Facebook Messenger platform. “The best technologies offer something that makes things better; connects people through storytelling; is immediate, expressive and immersive; and adapts and changes,” she said. “Messaging apps, like Facebook Messenger, are real-time and now [technologies].” She then discussed the “expressive,” illustrating how images help us navigate the world and tell stories in a simple and fast way. Keeping with the theme of social messaging, Brewster Stanislaw, head of attribution at social-analytics company Simply Measured, discussed the shift in one-to-one sharing of social content. At the advent of social media, sharing was someone one did to an entire network. These days, that behavior has shifted into a behavior that can be tougher to track and analyze. Snapchat is the current social darling, and that was true at SMWNYC. Major national brands NASDAQ, American Airlines, and Sour Patch Kids were among the many brands whose Snapchat strategies where analyzed or referenced. American Airlines’ game plan, for example, showcases different travel locations. NASDAQ’s shows the floor of the stock exchange. It’s staggering how quickly the platform has gone from a suspect reputation in its infancy to being an essential part of any large company’s social plans. Companies are building teams around attacking tent-pole events with Snapchat content. Brands are investing heavily in graphic designers to help create content for the platform. It’s no secret that, in social media, content creators develop a loyal following in which one segment of will be highly engaged with the content. Those users should be valued. Candice Charleton, senior manager, Global Social + Community, Hootsuite, emphasized that having big-time social fans can prove lucrative down the road when they are properly cared for. Nostalgia. Cute animals. Celebrities. They’re all low-hanging fruit in the social-media world, and tying them into your content greatly increases its sharability. According to Buzzfeed, though, the data shows that there’s nothing the Internet loves more than food, specifically pizza. So, there’s that.